The state-run Anadolu news agency reported that HDP co-leader Serpil Kemalbay and 16 others were accused of stirring up broader unrest under the guise of lawfully protesting the Afrin offensive. The HDP replied to the report by accusing Ankara of intending to interfere with the planned party conference scheduled for later in February. "We condemn and protest these unlawful arrests. We want our arrested friends to be released immediately," read a statement from Kemalbay on Friday. The other leader of the HDP, Selahattin Demirtas, was arrested in November 2016 alongside numerous other party leaders and is awaiting trial. Ankara accused Demirtas of failing to cooperate with a counterterrorism investigation into the Kurdistan Workers' Party (PKK), a Kurdish militant group that NATO has designated as a terrorist group. Since 1984, the PKK has violently resisted Ankara's rule over the Turkish Kurds. The PKK continues to wage a guerrilla war against Turkey in the southeastern corner of the country, near the Syrian border. The HDP holds 52 of the 550 seats in Turkey's unicameral parliament, the Grand National Assembly. This makes it the second-largest opposition party. The Republican People's Party, the party of the modern state's founder, Mustafa Kemal Ataturk, holds 131 seats, while the ruling Justice and Development Party holds an absolute majority with 316 seats. The HDP was the only party to oppose the Afrin offensive against the People's Protection Brigades (YPG), a primarily Kurdish militia in Syria. Turkey has accused the YPG of being an extension of the PKK. 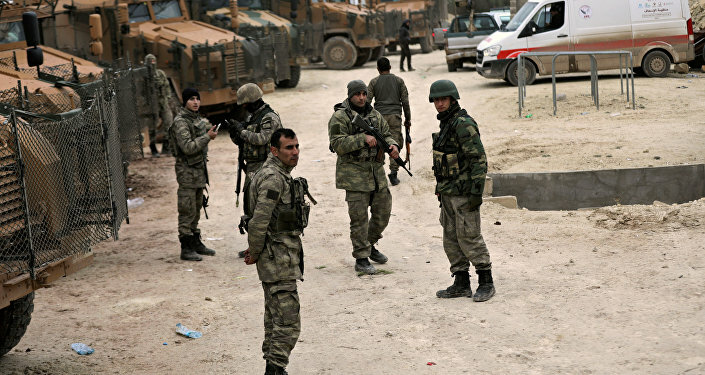 In January, tensions between the YPG and the Turkish military in Syria boiled over into Operation Olive Branch on January 20, when the Turks and their allies, the Free Syrian Army militia, attacked the YPG-held Syrian city of Afrin. The battle is ongoing, with the Turks having made some progress and captured a few dozen small settlements. 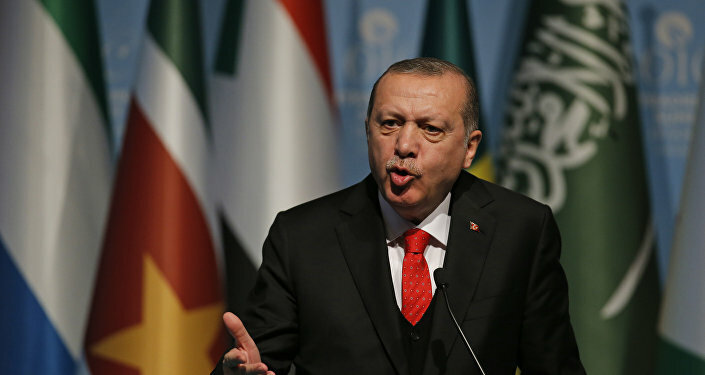 But the offensive has also had enormous domestic political ramifications, with Turkish President Recep Tayyip Erdogan threatening YPG supporters not to protest Olive Branch. "Know that wherever you go out on the streets our security forces are on your necks," Erdogan said in a speech on January 21. He warned that anyone who protested the anti-YPG operation would pay a "heavy price." 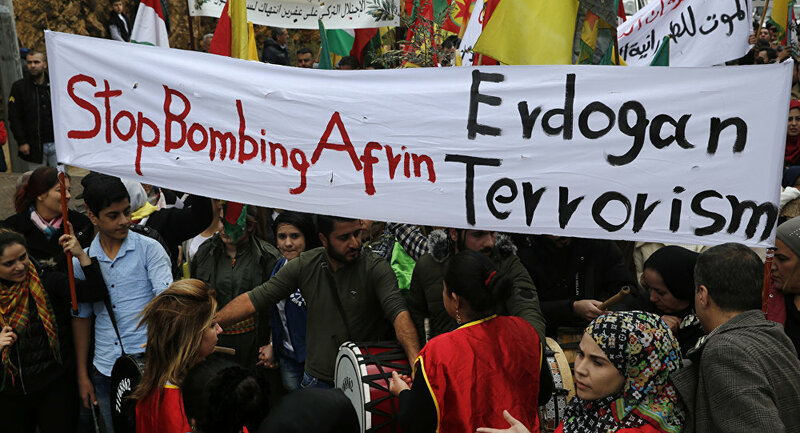 Ankara also instructed news outlets to only offer positive coverage of the attack and not to report on any alleged civilian casualties, war crimes, protests or any news that "boosts the morale of the [PKK]," according to Middle East Eye. The situation is further complicated by the YPG acting as a proxy for the US in Syria. While the US considers the PKK to be a terrorist group, they deny any connection between them and the YPG, a source of strain between the NATO partners. Erdogan threatened that, after Afrin falls, his forces will move to take the town of Manbij — a town that is currently under the control of both the YPG and the US military.